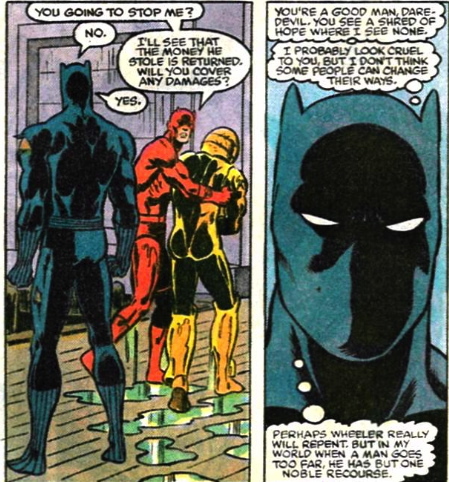 …because Panther wants to kill him as a traitor and DD doesn’t want to let the killing happen. 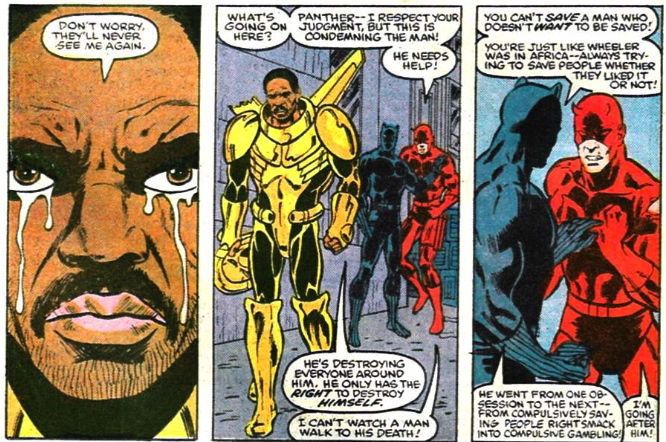 In the end, Daredevil wins (or T’Challa lets him win) and Panther looks on cynically. But it does show that T’Challa is not against killing for justice.